If you live in an area with diverse seasonal weather you will likely need at least some of the most common masonry repairs in Toronto. In the winter, spring, fall and summer the seasons bring about a change in weather. Everything associated with the cold brings about the need for masonry repairs. It’s not just the cold, when the sun kicks up into high gear a number of other masonry issues may arise as well. 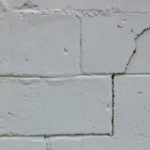 Here we detail the most common masonry repairs in Toronto you need to know about. When cold weather arrives the first thing we do is turn on the fireplace, but how do you know your fireplace is safe to use after an entire summer of inactivity? The majority of house fires occur during the first times a fireplace is used in the winter. This is why it is highly recommended to have your chimney inspected every year before the cold season arrives, thus ensuring your fireplace is safe to use. Masonry chimneys should be regularly inspected on the interior and exterior. You can check the actual brickwork by simply looking for any chipped or crumbling mortar, or loose bricks. Exterior factors can influence the overall safety of your fireplace. When the weather fluctuates between hot and cold (and visa-versa), or water soaks masonry for long periods of time the chances for masonry repairs to arise increase. 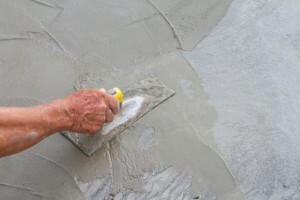 It is impossible to produce concrete that doesn’t crack. Control joints are used in concrete as pre-planned cracks that help prevent more cracks from surfacing. This works because the concrete will shrink inside of its control joint instead of at random intervals in the slab. The most popular time of year for cracks in concrete to form is during the winter freeze and thaw cycle. This process creates unavoidable pitting and cracking. When temperatures reach below 19 degrees the concrete freezes, when temperatures heat back up to 35 degrees the frozen particles melt, creating cracks, pits, and scaling. When it’s really hot concrete will crack as well. As the concrete heats up it expands. When the sun goes down at the end of the day the concrete losses heat and retracts, causing cracks to occur. With any foundation there is always the risk for issues, including masonry foundations. Older homes are the most likely to experience this problem but it happens in newer homes as well. If the exterior walls of your home are adorned with solid or decorative brick these materials don’t always do well with the natural movement of a house. 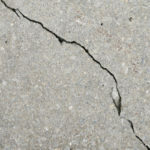 If you notice excessive or long cracks this may indicate foundation issues. If you have a basement with masonry reinforced walls or poured concrete you should always look out for signs of cracks, water or dirt seeping inside. This is a sign that the foundation is eroding and the sooner you address this problem the less expensive it will be to fix. Chimneys are another indicator of masonry foundation issues. 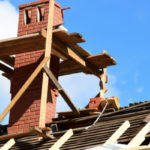 When the house begins to move the chimney gets knocked out of alignment and as a result may show signs of cracks or even obvious movement. Brick walkways that become infested with mold or moss can be tricky to clean up. Certain conditions impact the ability for moss and mold to grow. Some people actually like the look of moss growing between bricks, but in the end this damages the entire structure. Moss is constantly moist, which harms mortar joints and damages bricks. Plus, it presents a safety concern because due to high moisture retention moss and mold are very slick to walk on. Removing moss or mold from masonry walkways is the best way to win back your bricks. This is a repair you can try on your own. All you need is water and a hard bristled brush to scrub at the affected surface. To remove the left behind stains mix 1 part bleach and 9 parts water, then use mixture to scrub at the area with the stiff brush. Make sure to wear gloves and protective eyewear. Try out the mixture on a small area before to make sure the bleach does not change the color of your bricks. A gentler solution such as baking soda and vinegar will work as well if you are worried about lightening your bricks. 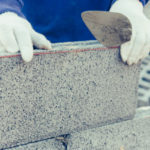 Turnbull Masonry is here to handle all of your masonry repairs, contact us today and find out firsthand why we are Toronto’s favorite source for all masonry work.